The Furian GPU architecture is also designed for virtual reality headsets and cars. A new PowerVR graphics architecture from Imagination Technologies will give a serious graphics boost to Apple's future iPhones, including 4K graphics. Imagination is announcing Furian, the first major graphics architecture upgrade since Rogue, which was announced in 2010. Apple's iPhone 7 currently has graphics based on the Rogue architecture. The Furian architecture also sets up future iPhones for graphics-intensive applications like virtual reality. Furian will be used in new PowerVR GPUs like the Series8XT, according to Imagination. The architecture has already been licensed to device makers and should be available in mobile devices by the end of 2018. Apple modifies PowerVR graphics architectures for the iPhone, meaning the graphics capabilities may also reach its devices next year. The iPhone 7 has a GPU based on PowerVR GT7600 GPU architecture, which is based on Rogue. It has up to six cores and operates at around 900MHz, but can scale for a short time to boost graphics performance. Some Android phones also use PowerVR graphics. The Furian architecture will bring more graphics cores, shorter pathways, and the ability to scale performance for longer period of times. The GPUs will also be smaller and operate at higher clock rates. 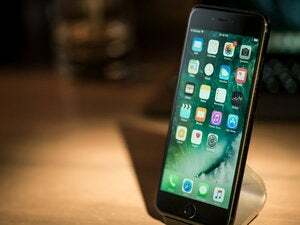 Those features should bring a serious boost to the graphics performance of the iPhone and other high-end mobile devices. Furian supports 4K video and is also designed to work on PCs and virtual reality headsets. It is also designed to work in neural networks and autonomous cars. It delivers a 35 percent increase in performance compared to Rogue, and a 70 to 90 percent improvement in gaming. Furian can scale up to 60 clusters, while Rogue scaled up to 12. Furian will drive many GPU generations for Imagination beyond Series8XT. "We see an architecture that lasts us for a few years," said Chris Longstaff, senior director of product and technology marketing for PowerVR at Imagination Technologies. The company has tuned Furian for deep learning, which could be useful for self-driving cars. Imagination has a strength in the automobile tech market, with its GPUs already being used by companies like chip supplier Renesas. Imagination rivals include ARM, which has Mali, and Qualcomm, which has Adreno. Nvidia also makes GPUs that could be used in mobile devices but is pushing the technologies in cars and servers. Correction: The eighth paragraph in this story has been corrected to say Furian can scale up to 60 clusters.